Enterprise Property Management provides management services to the community of Cordova, TN which has been mostly annexed by the City of Memphis. 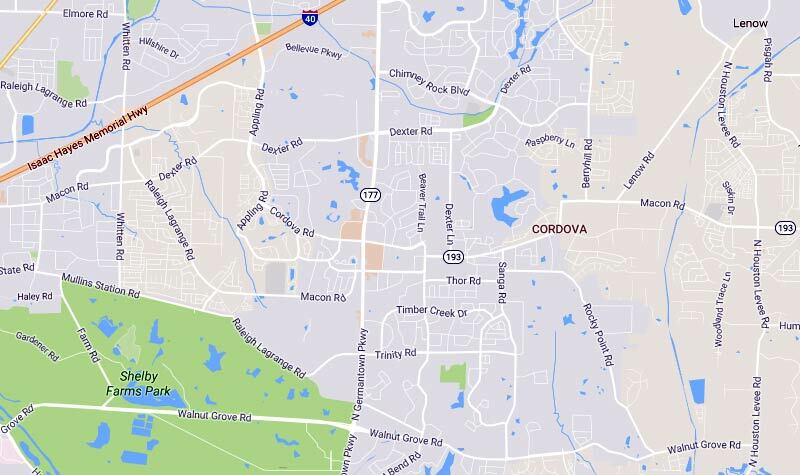 What makes Cordova so popular? Well, Lets start with the shopping. Splitting Cordova down the center is Germantown Parkway: a veritable 4 miles of premier shopping with easily accessed, constantly monitored, Wolfchase Galleria at the north end and the City of Germantown to the south, with its seldom-seen-elsewhere boutiques and unique stores and premier dining opportunities. In between the north and the south ends of Germantown Parkway are several large grocery stores, Costco’s and Sam’s stores Home Depots and Lowe’s stores, 3 Starbucks, great restaurants of all ethnicities, modern Cinemas, Churches, public and private schools, and all other shopping opportunities, all within 5 to 10 minutes of Interstate 40. Housing in Cordova is second to none with many well established communities to choose from. You can find everything in Cordova, from zero lot line homes, with low maintenance exteriors, to homes with fully fenced back yards; smaller homes, simply to keep you out of the apartment community or larger homes, 1800 square feet and up, with plenty of yard, and storage. Most homes in Cordova have been built within the last 10 to 15 years, and are heralded as modern and energy efficient. Rents range anywhere from to the rare $750.00 upward to $1500.00, with the median rent in Cordova being around $1095.00. The school buses run within a 1/4 mile of any of our homes, which also provides a commute to work that is palatable – with a 5 to 20 minute drive typical for most people. Cordova, TN is seen as its own community and is centered around many work opportunities and well established companies. With a growing medical community of St. Francis Bartlett, Germantown Methodist, and a series of minor medical facilities within 10 minutes of any location, you’re never to far from help in a time of crisis.